Peck Smiley Ettlin Architects, Inc. 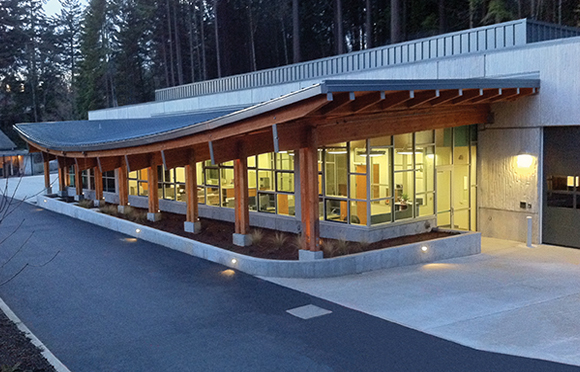 The Oregon Zoo's Veterinary Medical Center is a striking structure on the Northwest edge of the Zoo property. 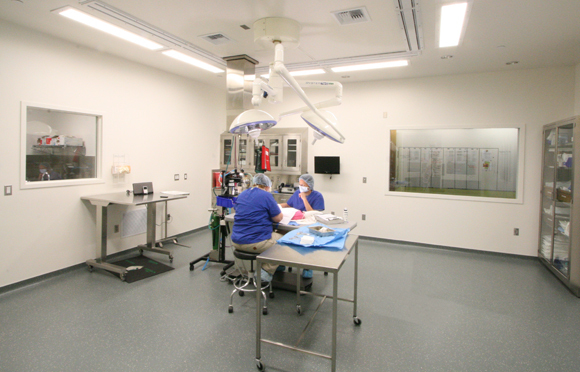 It is a highly functional and complex animal facility designed to treat a wide range of animals. The back portion is a labyrinth of cages and holding zones that flow around treatment rooms. 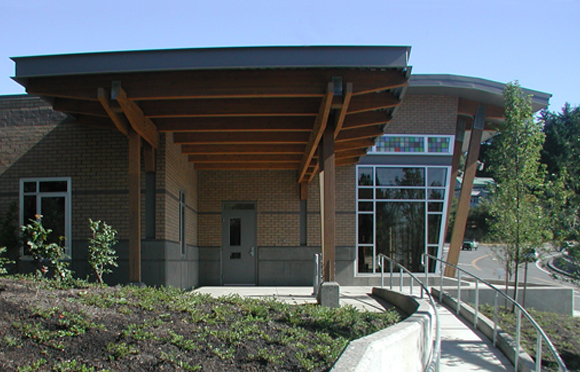 The front portion is a support wing that is gracefully shaped with an "ark- like" curved glulam roof structure. 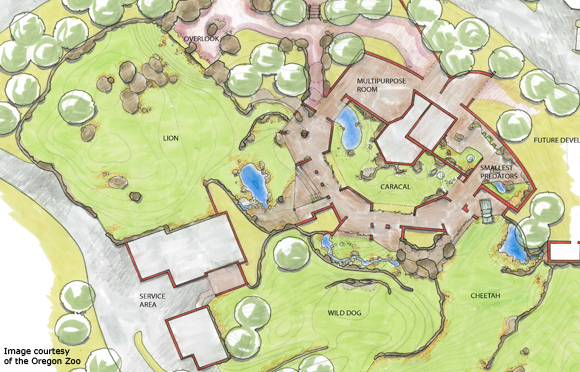 It's the first project of the Zoo's bond program. The site was extremely challenging—heavily forested in a environmentally sensitive zone, on an unstable hill side accessible by a narrow road. 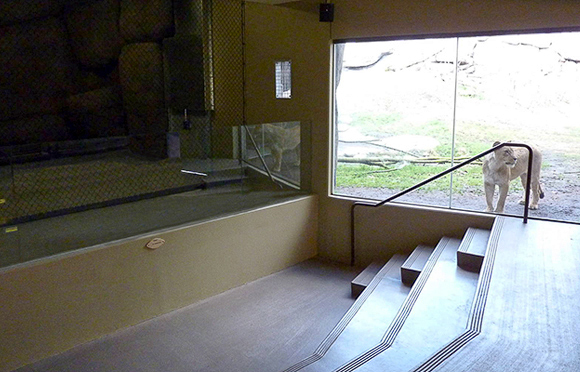 The design responded to the site and the needs of the Zoo and was tightly woven into the hillside. 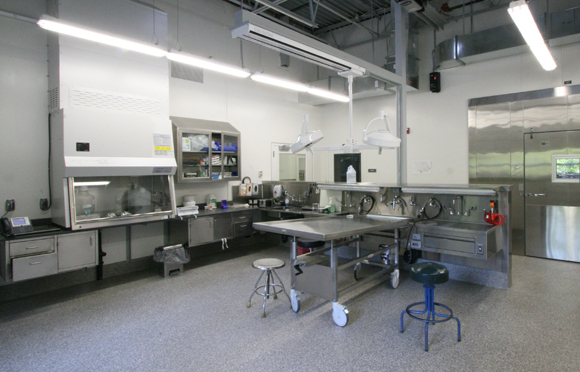 The building interior required state-of-the-art equipment, including HVAC systems for both human and animal occupancy, animal cages, humidifiers and oxygen systems required for complex animal care. The building design improves the safety and comfort of the animals. Rubberized flooring and padded walls keep hoofed animals from wearing down their hoofs or injuring themselves. Aquatic animals have access to temperature controlled pools, as well as an indoor and outdoor holding area. 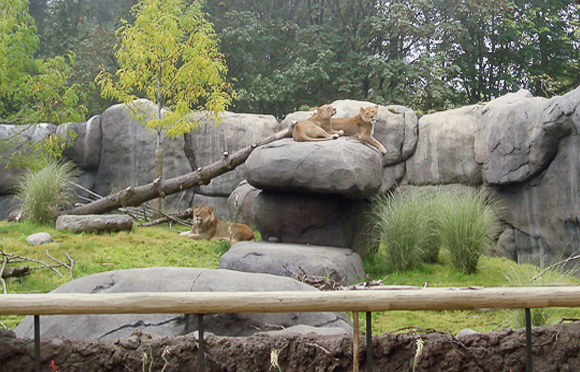 A quarantine area provides a large and sturdier space for primates and carnivores. 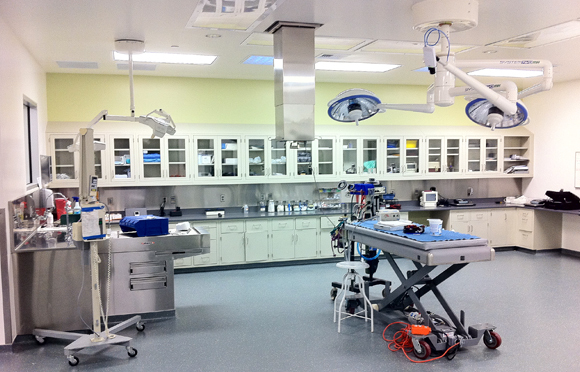 The flow of the floor plan allows the staff to easily coordinate medical treatments, surgeries and other procedures with the lab located close to the main treatment areas, and surgery and X-ray in the central core of the building. 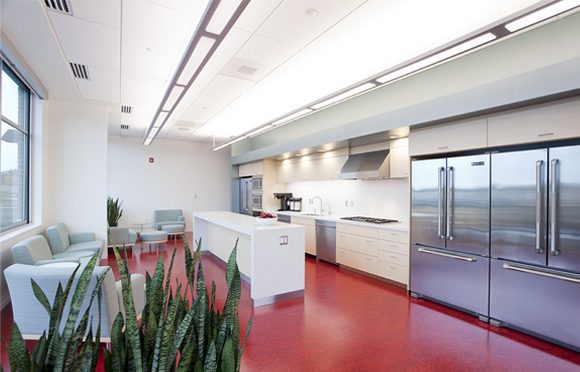 The Medical Center achieved LEED Gold certification from the U.S. Green Building Council. 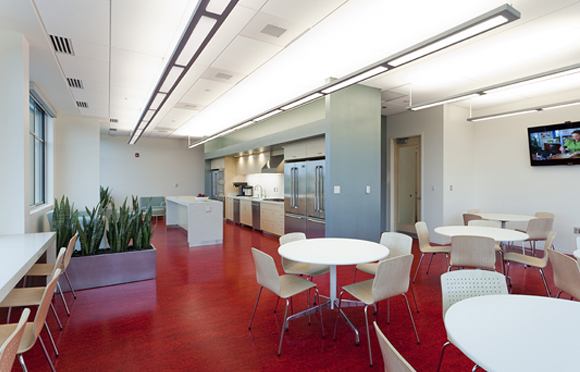 Sustainable elements are woven into the building's design and site. Located outside, a 20 foot tall, 27,000 gallon cistern sits on the building's west side and captures rainwater from the roof, which can be used for irrigation, washing down animal areas and flushing toilets. Other environment friendly features include a water efficient landscape of native plants, solar heated tap water, and an energy saving electrical system. The animal caging areas revolve around outdoor courtyards that have operable skyroofs that provide an abundance of light in all kinds of weather and open to let the sun shine in. 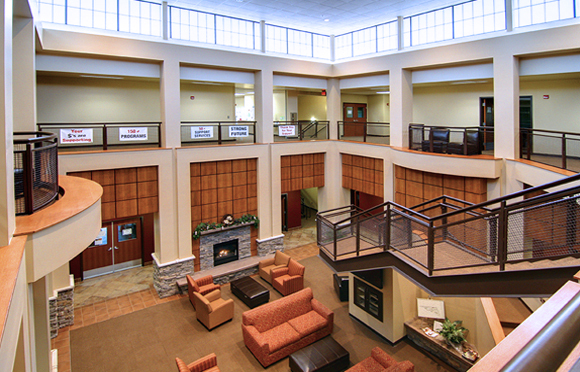 The Medical Center was awarded first place in the Daily Journal of Commerce's 2012 Top Projects Award. 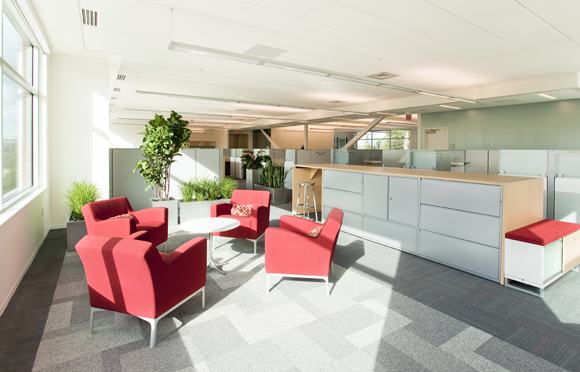 Peck Smiley Ettlin Architects transformed a plain vanilla spec office building into a stylish and functional Fire Command and Business Operations Center (CBOC). The building also functions as an Emergency Operations Center for coordinating and directing operations in a major emergency or disaster. The Fire District's operations at this facility include: command staff, emergency management, information technology and communications, logistics, GIS and data analysis, finance, human resources and the District's Central Integrated Operations team. The structure underwent extensive seismic upgrading to meet the criteria for essential service buildings. The steel frame is reinforced with buckling restrained braces. These large steel tubes are designed to 'dampen' the building's movement during an earthquake. 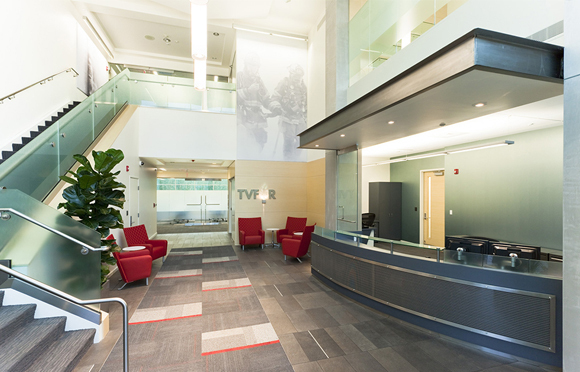 To ensure continuity of emergency response and business operations in a disaster, the building has upgraded and backup electrical, data, and HVAC systems. 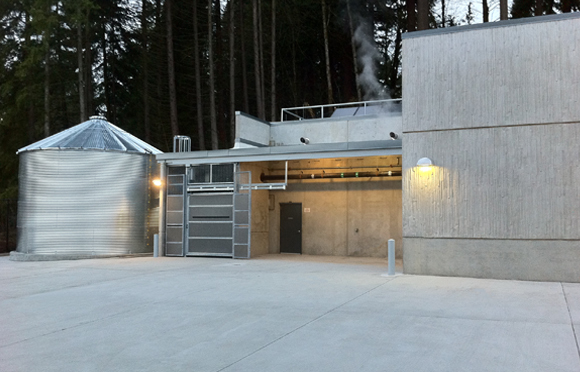 The facility also has an on-site electrical generation plant (two 500 kW generators and a 4,100 fuel tank) to provide at least 78 hours of standby power, ensuring the District's computer server and communications equipment (radio, ham, handheld, etc.) continue to operate during a major emergency or disaster. 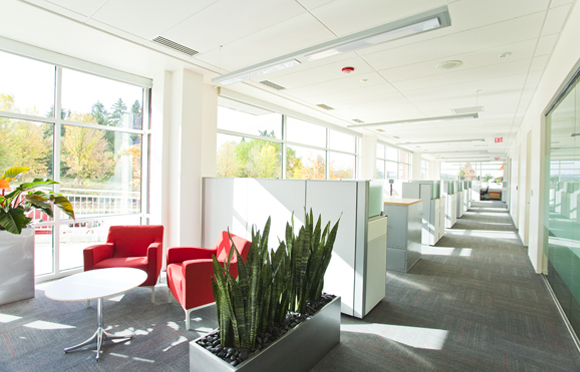 The three-story building was designed around open offices to ensure optimum flexibility in the future and more uniform heating and cooling in the building. The design utilizes large punched openings in the façade with 10 foot high ceilings and natural lighting. 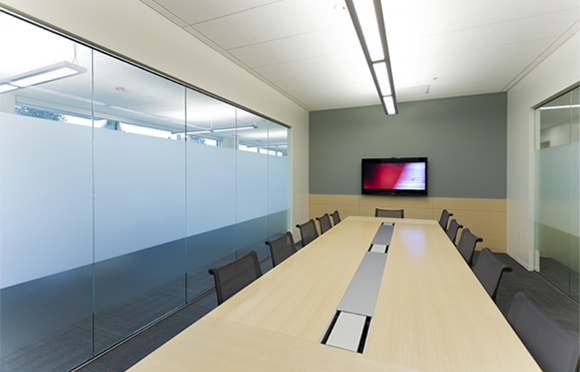 Overhead self-dimming light fixtures contribute to a more comfortable work environment and energy savings. 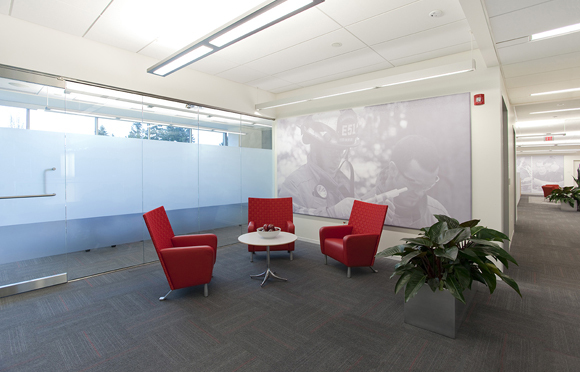 The building space reflects the value of the Fire District and honors the dedication of the firefighters in rich super graphics throughout the floors. 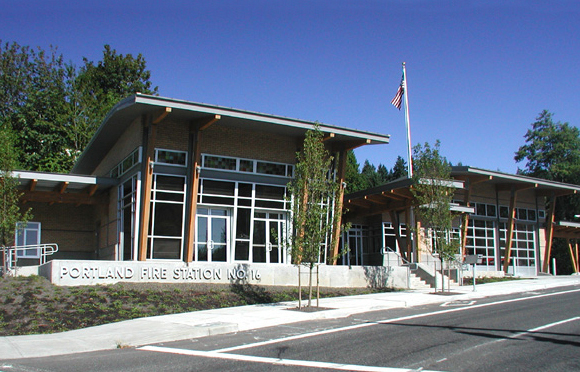 The interiors are bold and imaginative, like the Fire District that has revolutionized the management of public services to the West side of metro Portland. 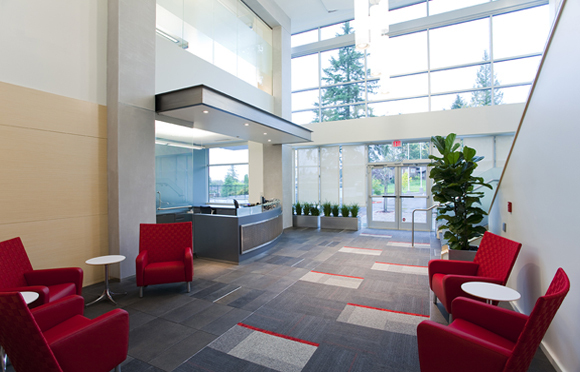 From its striking entrance to state of the art meeting rooms, CBOC is a great solution to the administrative needs of Tualatin Valley Fire & Rescue. Fire Station 16 is designed to capture the canyon views of Mt. Hood east from the two main pavilions. The two pavilions with 'aileron' roof forms contain the Community Meeting Room to the south, and the apparatus bays to the north. The Firefighter's Watch Office and public entry are placed between these pavilions. 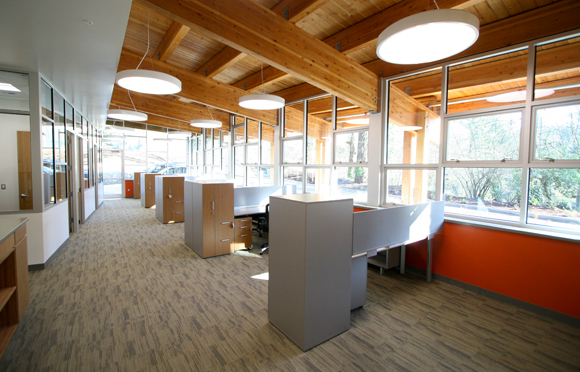 The workstations in the Watch Office have views to the north, east, and south. It acts as panopticon of visual security for the fire station with 180 degree visibility to public exterior spaces, the entry way, the intersection, the apparatus bay, and the parking entry road. 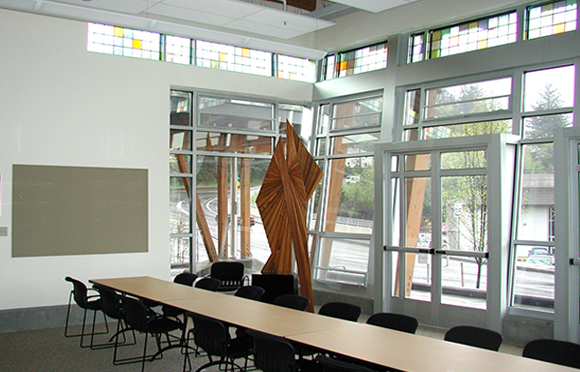 The community space is focused on a 600 SF meeting room which accommodates approximately 30 people in a flexible class-room environment. 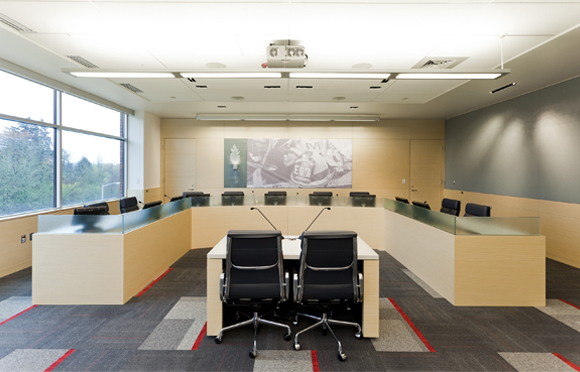 Other amenities include an entry foyer and a unisex toilet, as well as, a kitchenette and small lockable storage closet within the community meeting room. 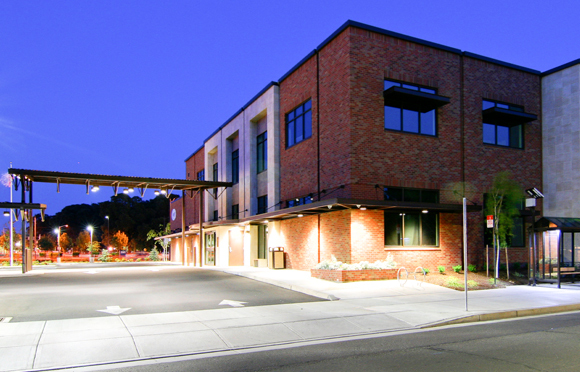 The building is constructed with brick veneer over a wood and steel sub-frame. Additionally, the pavilion and awning areas are supported by large exterior glue-laminated timber and exposed steel channels. The base of the building is finished concrete supporting the brick body above. All of the glazing is in brushed aluminum frames. 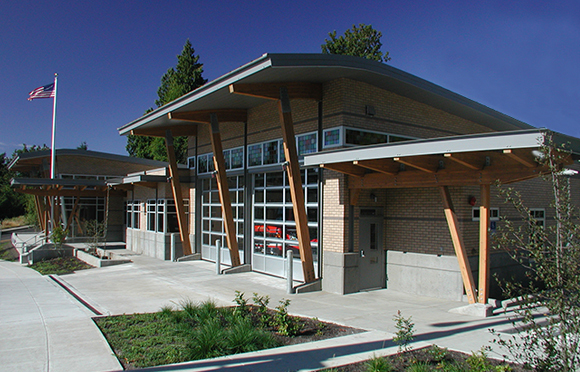 The overall design of the fire station is both timeless and modern. The building's curving roof forms provide an elegant response to the sloped and vista-dominated landscape, as well as, to the civic nature of this institutional structure. 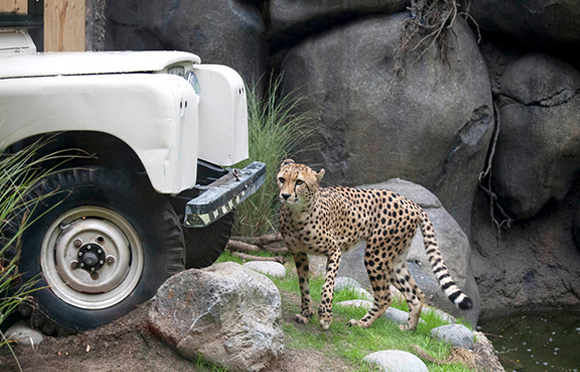 The Predators of the Serengeti exhibit at the Oregon Zoo is a transformation of an existing Alaska Tundra exhibit and building into a dynamic staging of African wild animals. 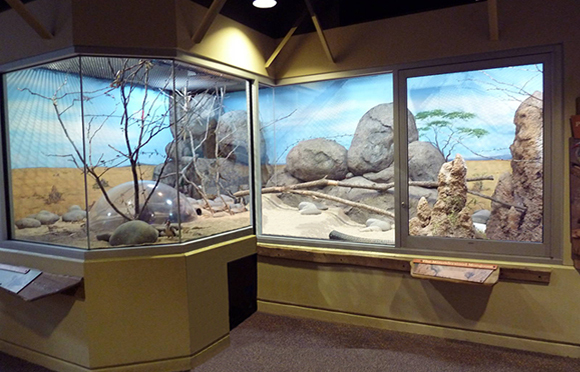 One year after it debuted, the exhibit received the highest honor from the Association of Zoos & Aquariums (AZA) the Top Exhibit Award. 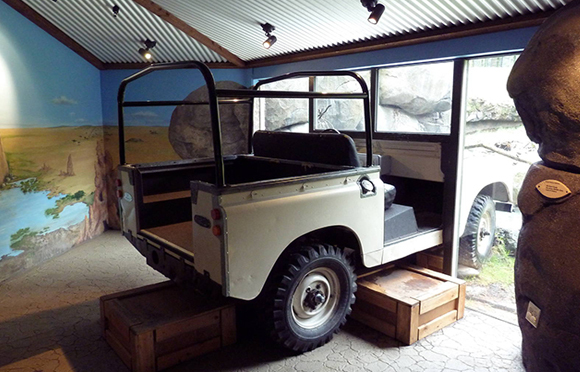 The exhibit's themed décor is a reflection of the African plains including thatched huts and primitive surfaces. 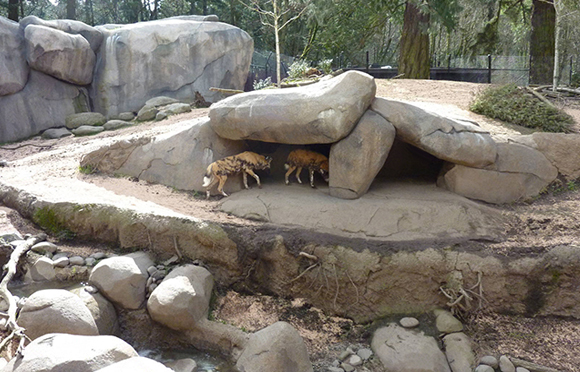 The Zoo's expert teams added kopje rock outcrops and other textures to give a realistic feel. 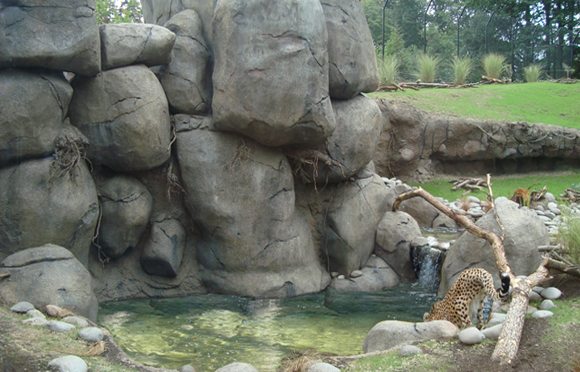 The care and well-being of the animal is still the primary focus of the exhibit. 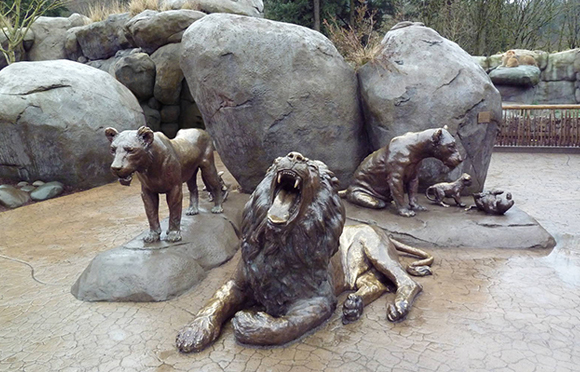 The lions, cheetahs, caracals and wild dogs all have their own unique settings and support buildings. 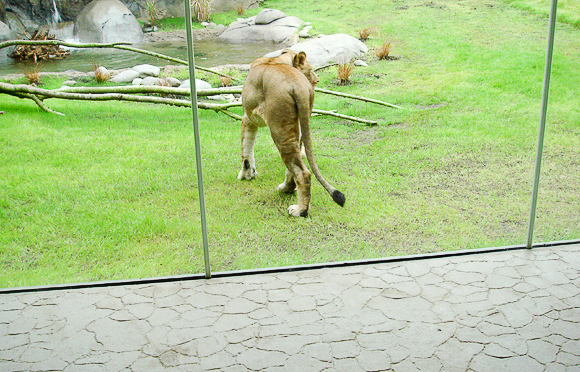 The experience for the visitor starts at the new African plaza and winds down the path to a Lion overlook. From the overlook you enter the arcade which has vistas into the three main animal yards. 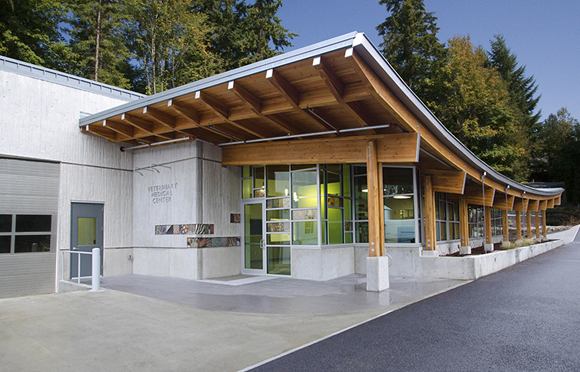 Inside the interpretive building is a multi-media discovery room that is the main learning center of the exhibit. Behind the scenes is a new holding building for the wild dogs, and remodeled holding buildings for the lions and cheetahs. 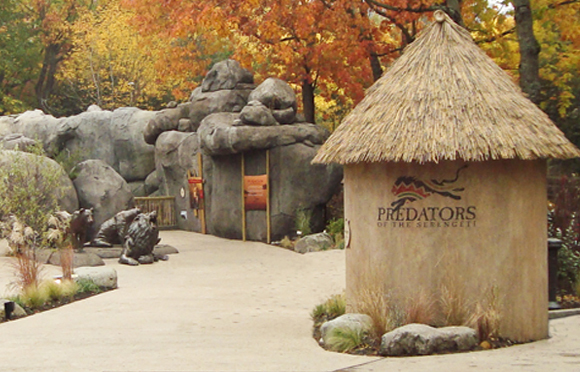 Peck Smiley Ettlin Architects provided architectural and engineering expertise to revamp, remodel and add new structures to create an African plains adventure in Oregon. 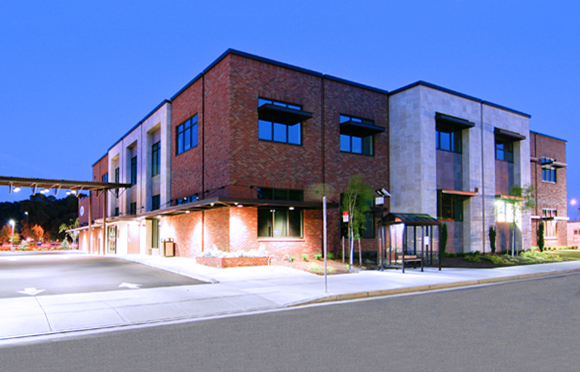 The new 30,000 sf Center 50+ of a Salem, Oregon, is a multi-use complex designed to serve the needs of a growing senior community. 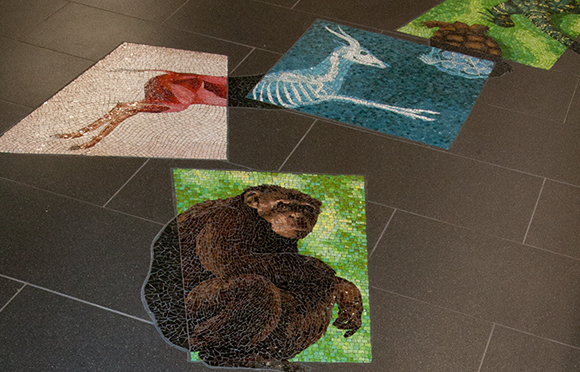 The scale of the Center provides a diverse range of spaces for its more than 700 daily visitors to enjoy. The Center has a commercial kitchen, multi-purpose dining room/assembly space, hobby rooms (woodworking, crafts, lapidary, billiards/games, etc. ), an auditorium, fitness rooms complete with equipment and lockers, classrooms, meeting rooms, offices, and a computer learning center. 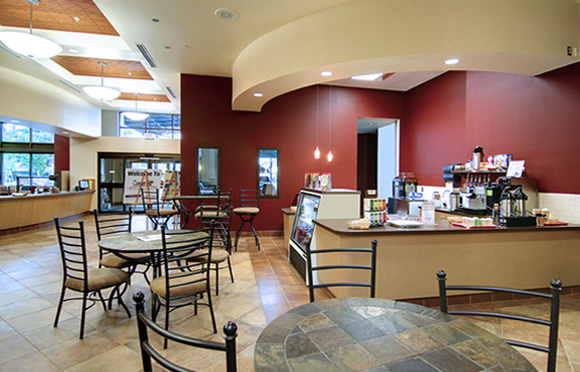 The bistro/coffee shop located on the main level adds to the comfort of the large open atrium and is also an important source of income in support of the Center.Flexibility was a key part of the design. 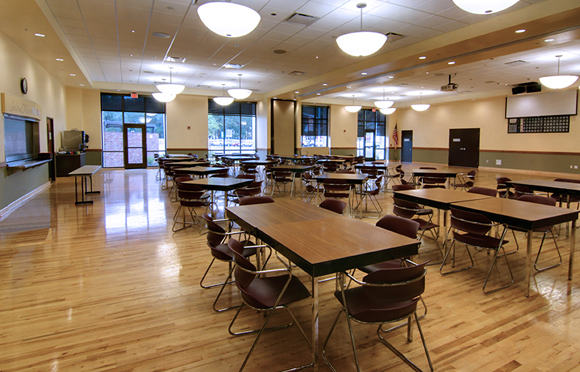 The Center serves over 250 meals out of the dining room, daily. The dining room can also accommodate a 250 seat banquet or meeting, and is used for popular activities like bingo and dance class. 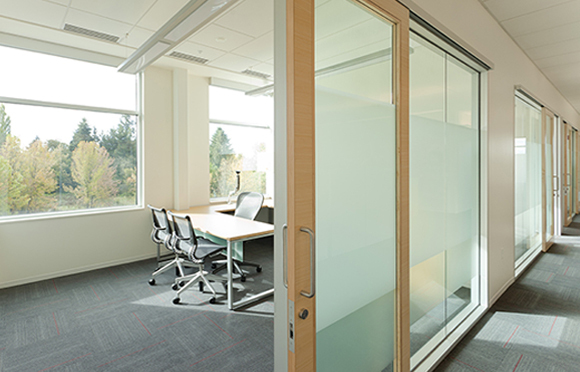 A partition wall can separate the massive room into two private spaces. The dining room also has a movable wood dance floor. The kitchen's serving line is accessible from the dining room. 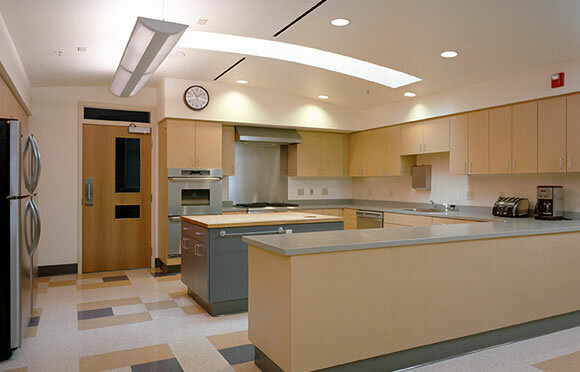 The kitchen is used to prepare the Center's daily lunch and dinner services, and is fully equipped for full service catering. 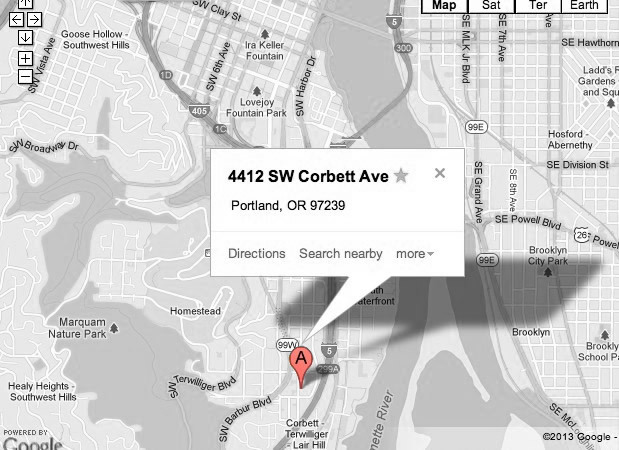 Copyright © Peck Smiley Ettlin Architects, Inc.
Peck Smiley Ettlin Architects, Inc. is an established Portland architecture firm spanning 5 decades. Our work reflects an enduring commitment to design excellence and the belief that inspiring and sustainable architecture is an essential component of each project. We design highly functional buildings and create harmonious and comfortable spaces—projects in which people truly enjoy living and working. Peck Smiley Ettlin Architects is the right size firm to provide our clients with personalized architectural services with a great degree of involvement from our principals. Both Hans Ettlin and Stephen Smiley, principals of the firm, spend quality time working on designs, developing construction details, refining specifications, and working in the field with contractors. 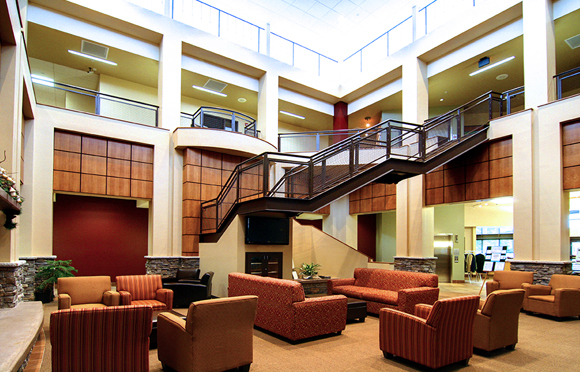 We place an emphasis on ensuring our clients’ needs are being met and providing quality control on each project. We are committed to using the latest technology, sophisticated design techniques as well as the ability to express complex technical issues in an understandable format. Our architectural staff provides a team of dedicated professionals that are involved in design innovation and participate in the development of stellar modeling and graphics, thorough documents and effective construction administration.